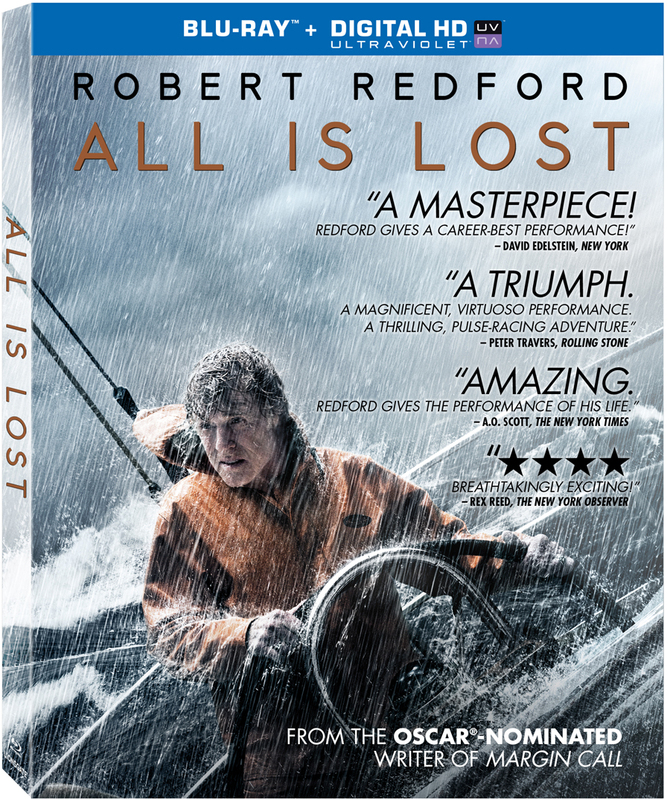 Robert Redford is a standout—and a stand-alone—in this amazing drama about an unnamed man, alone on a sailboat, after his craft is catastrophically damaged hundreds of miles from shore. He’s the only actor, there’s almost no dialog, and the story becomes a moving, mesmerizing, elemental saga of water, wind and the will to survive. Can he make it to the commercial shipping lanes before his meager supplies run out? Will anyone even know he’s in trouble? And what about those sharks? Extras include commentary with writer/director/producer J.C. Chandor and several behind-the-scenes featurettes.